Lots of our kigurumi onesies are back in stock today. Many of them have been unavailable since Christmas time, so we're really happy to welcome them back. Especially the zebra. 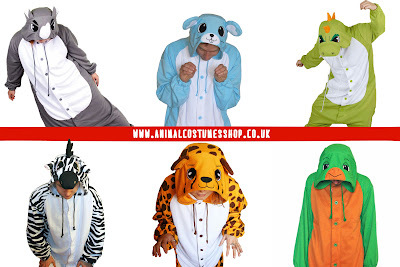 We've now got over 50 different kigurumi onesie styles available to buy today, many of them in lots of different sizes which takes us well over 100. We think that's more than any other shop in the world, which is pretty good ay?